What Does John 1:8 Mean? The gospel of John proclaims with authority that Jesus Christ is the sovereign Word of God; the eternal Word of God; the creative Word of God and the incarnate Word of God. John also announces that Christ is the Son of God; the Lamb of God, (Who takes away the sin of the world) the King of Israel and Son of Man. He is the Saviour of the World and He is the Resurrection and the Life. 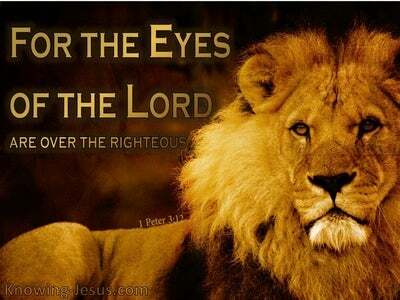 Jesus Christ is the fullness of God's wisdom and power and the exact image of His goodness; grace and glory. The Lord Jesus Christ is the personification of all Truth. And Christ Jesus is also the Light of the world - the true Light of all men, Who shines in the darkness and give light to all who come into the world. In this fallen world we are not only surrounded by an exterior, cultural darkness that proceeds from sin and Satan, but we discover an inner, destructive darkness.. that lurks within the very soul of man, which has blackened the human heart, darkened mans' soul and obscured man's' understanding. A shroud of darkness covered this world as a result of sin, and light can have no fellowship with darkness, for the two are mutually exclusive and incompatible. But God in His goodness and grace gave His only begotten Son to bring His pure Light into this world. Jesus came as the true Light of the world.. so that the world through Him might be saved. And there was a man who was sent from God and his name was John. He was chosen before he was born to be God's witness and testimony to the authenticity and authority of Christ's sovereign role as Light of the world. The Bible tells us that among those born of women there had never arisen a greater man than John the Baptist. John was a prophet of God who was identified as greater than Noah, Abraham, David and Daniel - and he was the one who was to be the forerunner of God's dearly beloved Son. John was to be the greatest witness to a world in darkness - that LIGHT had come into the world. 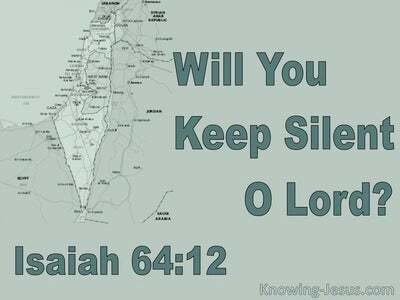 John was a prophet with a magnetic personality who challenged the nation of Israel to repent of their sins, for the kingdom of heaven was near. 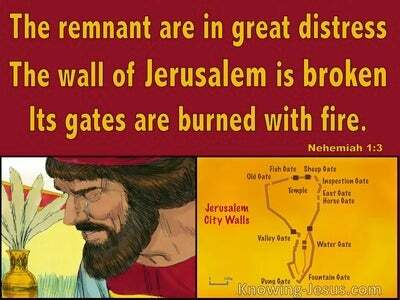 He drew many crowds and caused many backslidden Jews to repent of their sins and to return to the God of the fathers.. because the King of Israel (the Jewish Messiah) and Light of the World was about to be revealed. Many mistakenly began to think that John himself was the Light.. but John the Baptist was not the Light. 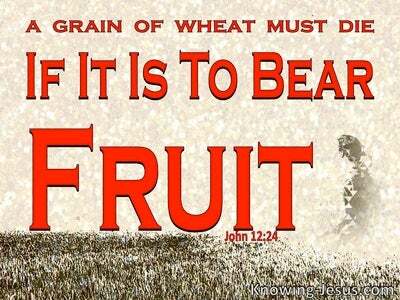 John was the man whom God had chosen to testify about the Light. John was the one chosen to bear witness of the Light. 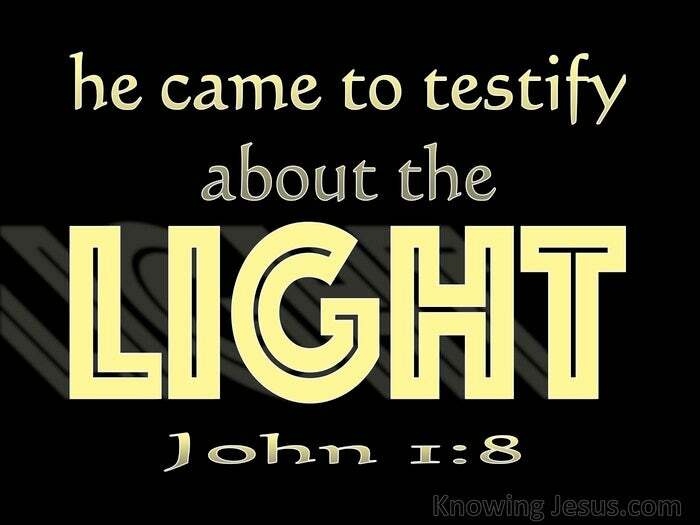 John was the one that testified that Jesus Christ is the true Light of the world. NO! 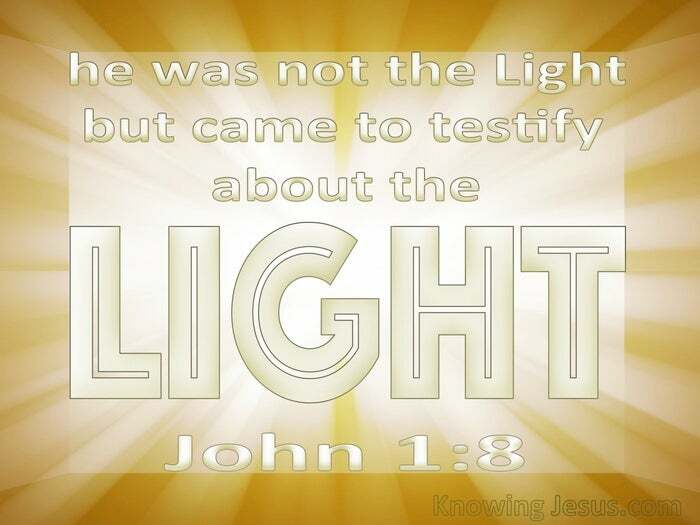 John was not the Light but he was the one sent by God to testify about the Light. And today we who have trusted Christ as Saviour are called as was John.. to bear witness to the LIGHT - Jesus Christ, the true Light that lights everyone who comes into the world. And as we allow Christ to live His life in us, we are enabled to reflect the light of His love, and to share the glorious gospel of grace with others.. in a lost world of deep darkness. Heavenly Father, thank You for the witness of Your word and thank You for sending Jesus into the world to be the Light of the world and Saviour of mankind. Help me to walk in the light as He is in the light and to let the light of His love shine through me to others, so that my life becomes a true testimony to Him. I pray that I may decrease and He may increase, until He is all in all in my life - this I ask in Jesus name, AMEN.